A Passionate Nature has been selected as a winner for Pastel 100's 19th annual Pastel Competition. 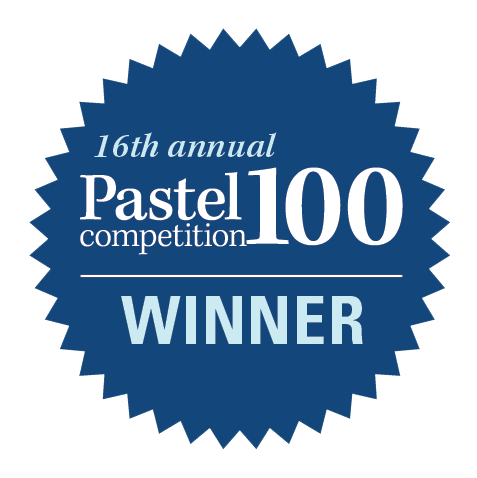 The winning pastels will be showcased in the April 2018 issue of Pastel Journal. Click here to preview the article! Bre has also been selected as a finalist for A Passionate Nature in Artist's Magazine's 34th Annual Art Competition. Evening Shade is included in this exhibition which features contemporary art by artists currently living in North Carolina. Join Bre at Coffey + Thompson Gallery during October for a Works on Paper exhibition! Stop by J.Sam's Restaurant later this month for Bre's newest show! An opening reception will be held on Thursday, September 21st at 7pm. In July 2017, Bre traveled up to Thomaston, Maine, for an intensive workshop. Keep your eye out for some inspired new work! Find Art Journey Abstract Painting: A Celebration of Contemporary Art - a new compilation book featuring the best abstract pieces from The Artist Magazine and Pastel Journal during its release this moth. Bre's piece Dancing 'Til Dawn has been selected to be featured on the book! Join us February 9th form 5-8pm for a reception with the artist, or stop by during the month of February to check out these and other gorgeous pastels and mixed media pieces from Bre! (Incase you missed it) Here's October Marsh and Coffey + Thompson's ad in the December edition of QC Exclusive. October Marsh is located in an amazing part of SC's low country. It's a scene from Hobcaw Barony just north of Georgetown. This section of land is full of local history, beginning with it's original inhabitants, the native indians, and later home to several rice plantations. The painting depicts the land, still untouched, just like the Indians left it. Amazing. 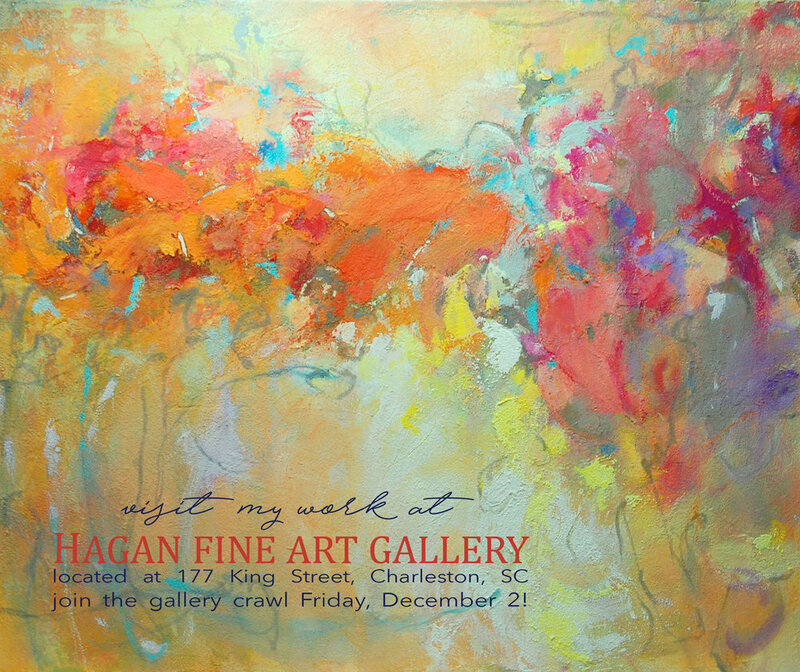 Visit Hagan Fine Art to see works by Bre in Charleston, SC! For more information on the December 2nd Art Walk, where more than 40 galleries open their doors from 5-8pm, click here. "With the new go-with-the-flow approach, Crowell’s abstracts now reflect emotion and surprising subconscious references that she says she only realizes in hindsight."